This was a tough race. A lot more difficult than I expected. and I’m not talking about the fact that it was hilly. The hills I could handle on a normal day. For some reason, I could not keep any of my nutrition down and was literally running on fumes. This all happened at mile 10. Could I have switched to the half marathon, absolutely. Sadly I did not know that and kept going. 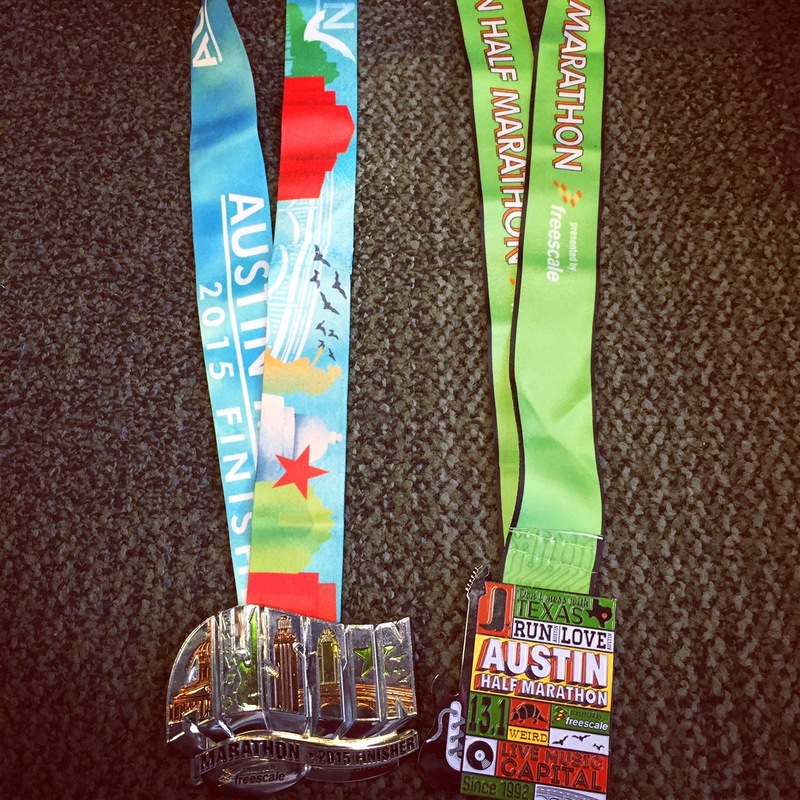 There was also a part of me that didn’t want to switch because I have put in all of my marathon training that the thought of only doing a half would have upset me. 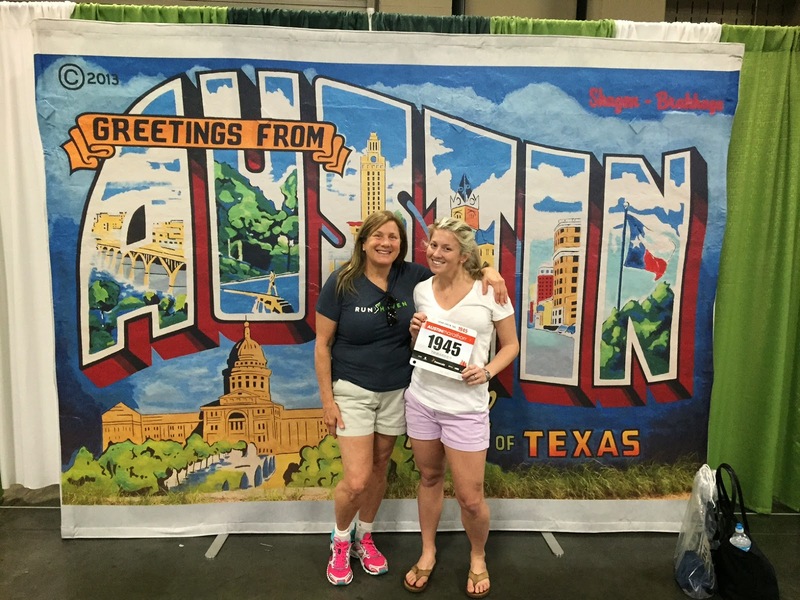 Mom and I arrived on Saturday, she was running the half and it was warm! Coming from 10 degrees outside, it was refreshing to wear shorts. Getting to the expo was challenging because there was a bunch of traffic so the only reasonable way to get there was walking. It was about a mile from out hotel which was very convenient as it was a few blocks away from the start line.The expo was so-so, there wasn’t anything spectacular about it. The race t-shirt was ugly in my opinion. There was literally no need for me to hang out there. The city was very cool, the first 6 miles weren’t spectacular, but once you went back into the city and off to the suburbs, that’s when I was intrigued and thought it was very nice. Overall that this was a very well run race. There were tons of volunteers directing us in the right direction, thousands of spectators out on the course with oranges and bananas having a block party with their friends and family. Tons of dogs! I literally counted 20 boxers alone and I love boxers so seeing that many made me super happy. Because my goal for a BQ was out of reach as a result of my bonking, I decided to just pay attention more to what was going on around me. And I am so happy I did. I got to see all of the people out on their lawns cheering us on with food and drinks to take. My favorite was the college students outside of UT with mimosas. I was so close to taking one, but then again I probably wouldn’t have survived or been drunk real fast. The guy who was giving out donuts, they looked so good. The aid station with all UT boys dressed in their khakis, white button-downs, cowboy hats and orange bandanas around their necks. Adorable. The guy taking a tally of why we run, btw, I run for dessert. The students cheering us on through UT campus which was huge! And so was the stadium. The rock bands, the medics at every aid station with vaseline, the medics waiting for us at the finish line when I was about to pass out. Yes it may have been humid and the expo was so-so but Austin was a great town, I’d love to visit again and experience it more in depth. Overall this was a great race and I loved it, minus the bonking.